If you’re already using Twitter, you’ve probably noticed that things have gotten a lot more visual over the last few months. 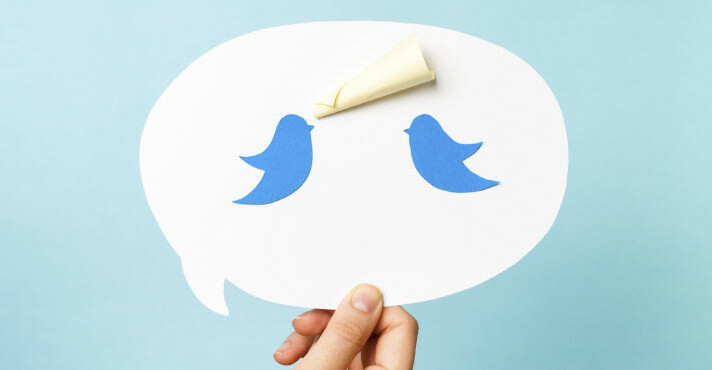 Twitter recently announced a change to the way images are displayed on the social network. Previously, users needed to click on a link to see an image, but now an image preview is automatically displayed in the Twitter Feed. With the addition of images, Twitter has changed the feed from a text-only stream of information to a place where marketers can use images to stand out and catch their followers’ attention. Even before Twitter rolled out this update, images were already helping marketers generate big engagement. According to one study from Buffer, tweets with images generate 18 percent more clicks and 150 percent more retweets than those without. This is great news for small businesses looking to get better results from their marketing efforts on Twitter. If you haven’t already started using images on Twitter, now is a great time to experiment with different types of content. A successful Twitter content strategy should include a combination of text, links, photos, and videos. And remember, each type of content doesn’t need to be completely exclusive from another either. If you’re sharing a link to a post on your blog, consider adding an image to help encourage people to click through. If you’re trying to spark a conversation or are looking for feedback from your followers, you can ask a question and upload a photo to go along with it. Quotes: With a tool like PicMonkey, you can easily add text to an image to offer a creative way to inspire your followers and spark a conversation. Advice/Information: In addition to sharing links to blog posts and other helpful articles, we use images to share advice right in the Twitter Feed. Behind the scenes: We never miss a chance to snap a photo and give our followers a look behind the scenes. Whether that’s snapping a photo at an event or giving people a look inside our corporate offices, images help us show the work we’re involved in everyday. Since the recent change, we’ve also experimented with different image sizes to help leverage the image preview. To do this, we used an image with a horizontal orientation and a 2:1 aspect ratio (e.g. 880 x 440 pixels). “Previously, we shared a majority of our best visuals on our other social media properties. Following the change to Twitter’s timeline, we increased the amount of images we included in our tweets and immediately saw an increase in engagement. In the last six months, we increased our monthly frequency of tweeting images from @ConstantContact by about 400 percent. As a result, the engagement per tweet with an image has increased 170 percent. This small change is already having a big impact on how marketers are using images on Twitter. Here at Constant Contact, we will continue to test different ways to incorporate images into our Twitter strategy, and we hope you will too. As you test different types of images, make sure to pay attention to what’s working, what’s not, and what you could be doing differently to improve your results. If you test a certain type of image and get a positive response, try to see how you can replicate that effort to boost your engagement. If you’ve noticed that certain images aren’t working, don’t be afraid to try something new. Over time, you will not only learn how images fit into your Twitter strategy, but you will also learn more about what your audience is interested in as a whole. Stay on top of the all the latest social media and email marketing trends! Sign up for our Hints & Tips newsletter to get our best blog posts delivered to your inbox twice each month.